Recently, I came across the website A Bowl Full of Lemons. Toni is a successful blogger mom from my home state of South Carolina. 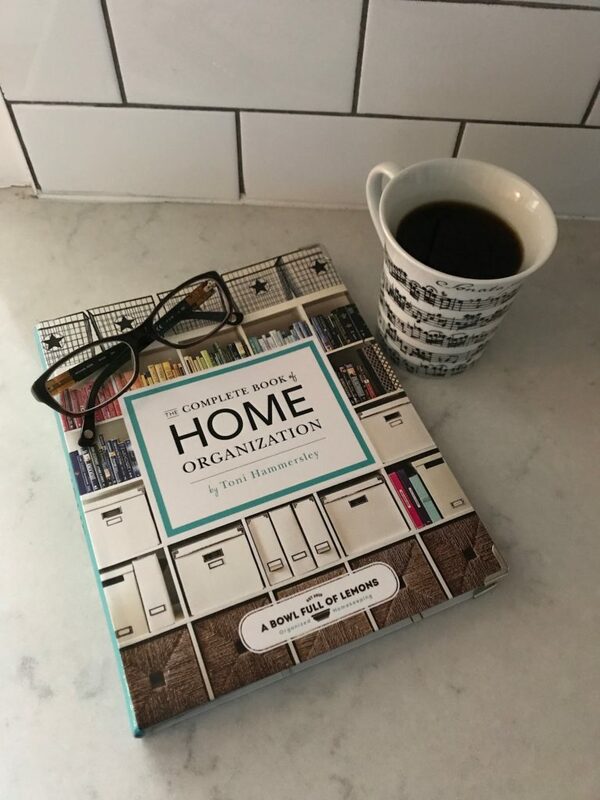 I had actually previously purchased her book, The Complete book of Organization, which is chock full of inspirational photos. Among the series she has initiated on her site, I was intrigued by the 31 Day Purge. Her premise is to purge one category every day for a month. 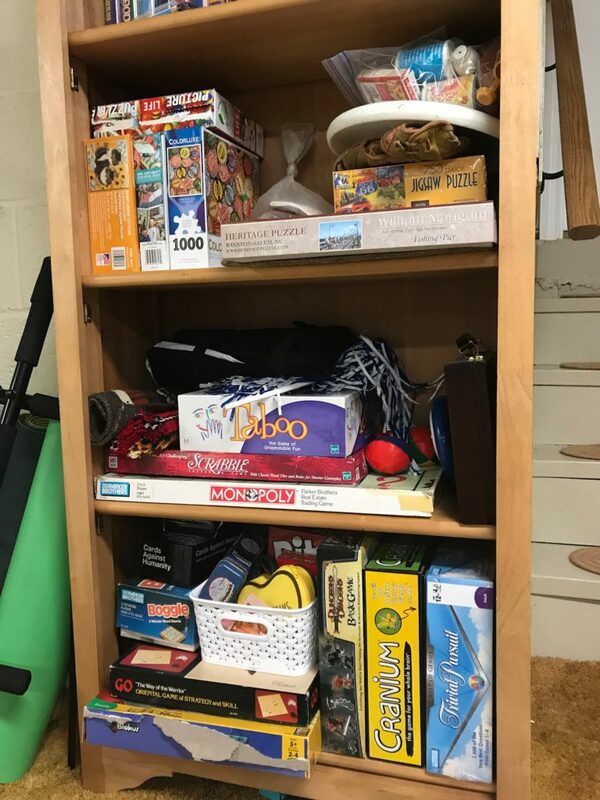 Though I did not follow her guidelines in order (she would post the target area the morning of the challenge while it was running live), I inadvertently tackled most categories over the past few months. Have you heard of this plan? Has anyone else tried it? I don’t think I could have done it in 31 actual days because it’s difficult to *just* purge. 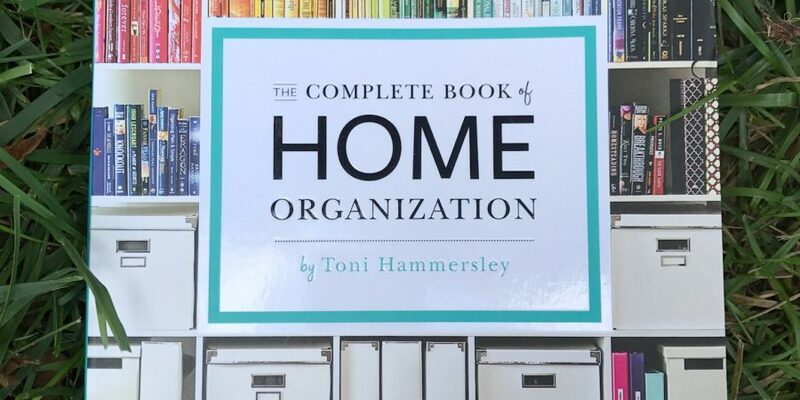 You want to clean and organize as well, and some of these categories take longer than others! Especially when considering materials that have to be purchased or ordered. Here is her month of categories. Please share your stories if you have tried this system! 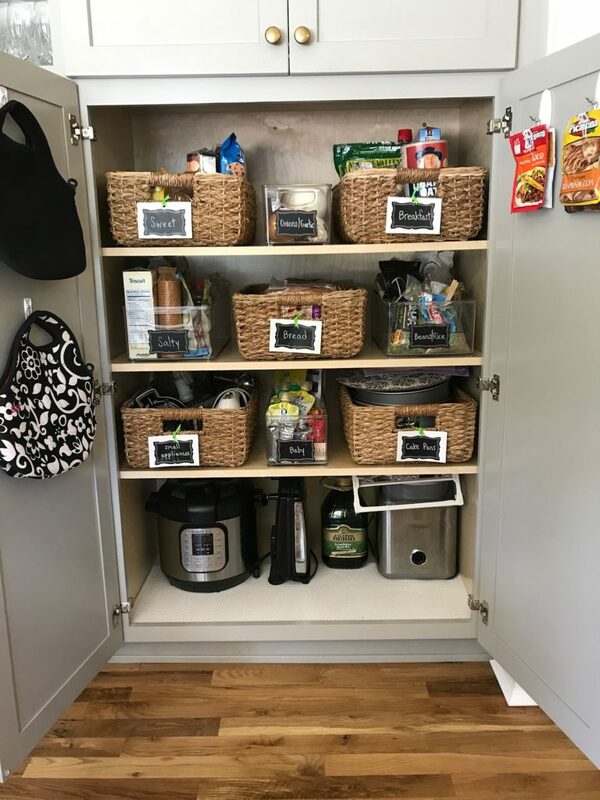 The pantry was the grand finale of the “One Kitchen Cabinet at a Time” series! Marie Kondo convinced me to recycle all of my old magazines a few years ago. I had been hoarding years worth of magazines, thinking I would use them for inspiration photos. Now that we have Pinterest, there really is no need. However, seeing this on the list motivated me to catch up on the 3 issues of Southern Living sitting on the nightstand before recycling those as well. 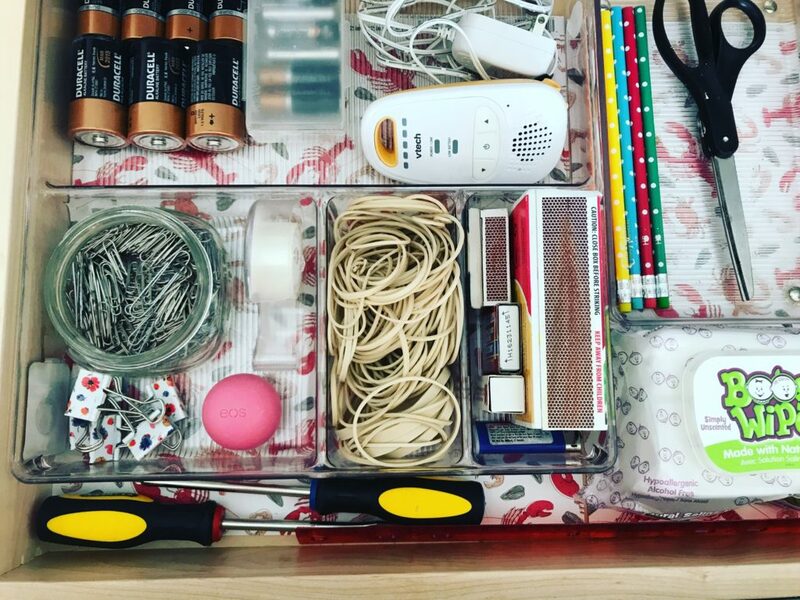 You can see them in their tidy glory in this post! I have a hard time purging here. 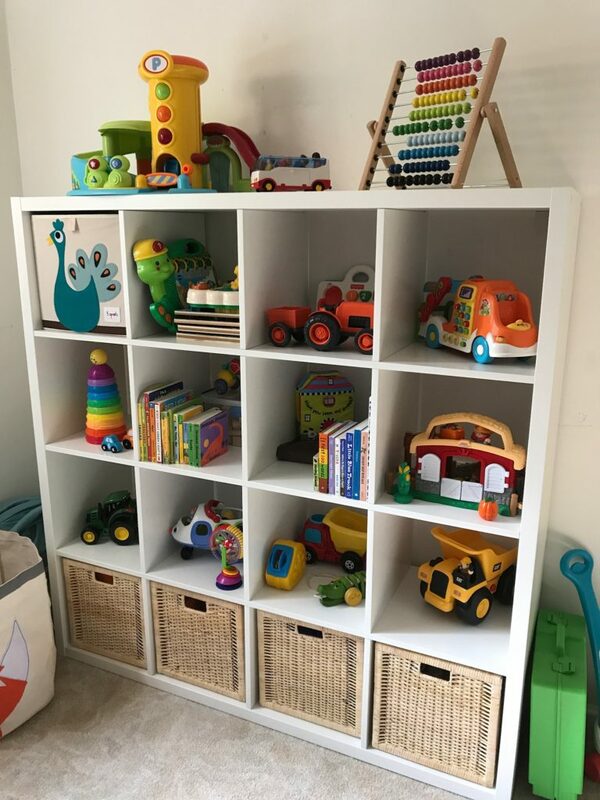 Since we are expecting a new baby in a few short months, I am hesitant to get rid of toys that we will likely use again. Boy do I want to, though! We at least organized the toys in the den. When we had our yard sale a few weeks back, I cleaned out the cleaning products left behind by the previous owners. 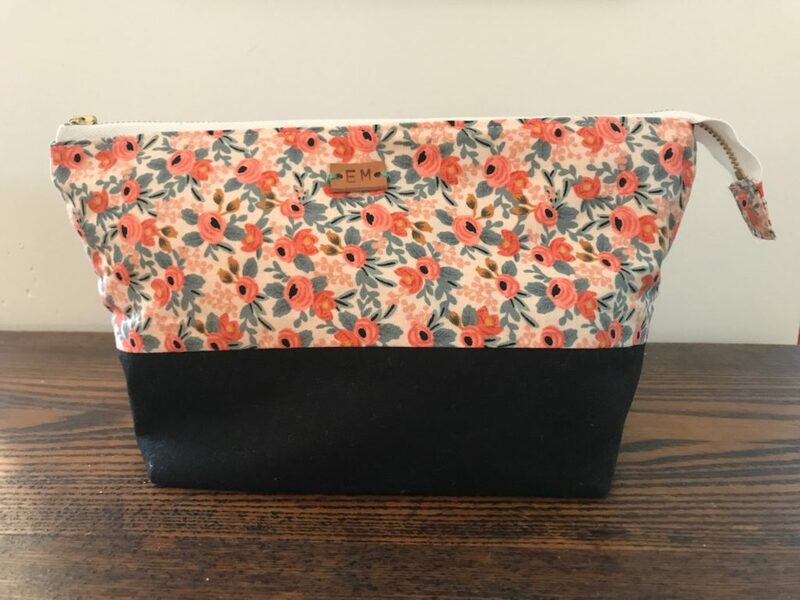 Checked this one off when I upgraded to a new makeup bag! 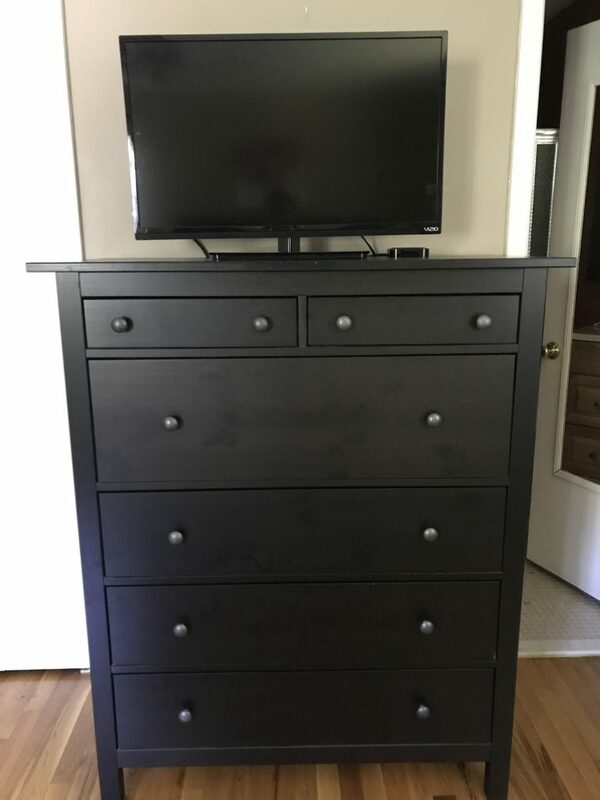 Again with the yard sale – I sold one pair of shoes there and donated two more to the Goodwill. Three went to the trash, and two I sold for a decent price on Facebook Marketplace! I have tried to teach Pat the system of tidying while pumping gas. Those 5 minutes are a great time to grab receipts and crumbs that have landed on the floor. Otherwise, we don’t really keep clutter in the car. My plan is to to do one final big clean before the baby’s due date! If you pay online and on time, why would you need to keep them? I don’t have any of these to purge. This one I have not formally organized yet, other than getting frustrated and throwing random things out every few weeks. I plan to tackle this in September when we do a big cook-and-freeze in prep for the baby’s arrival. Tackled this project in June. When we tidied up the basement, I did purge a few puzzles for the yard sale. Though we don’t play with many of these now, I would like to think that one day we will sit at the table with our kids and have a good laugh, so I’m not ready to purge more! Definitely able to check this box. 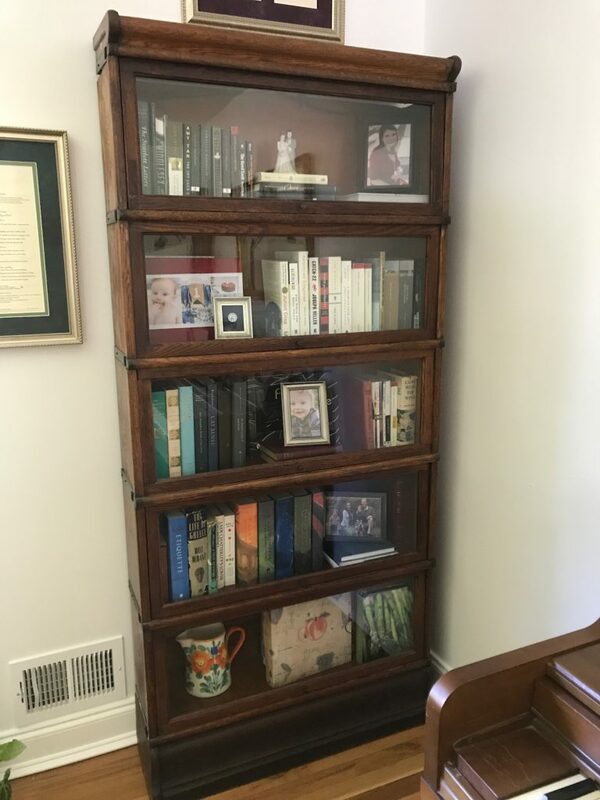 I discussed my own “book challenge” of reducing books from two bookcases to one here and here. This is actually one drawer I forgot to include in the “One Kitchen Cabinet at a Time” series. 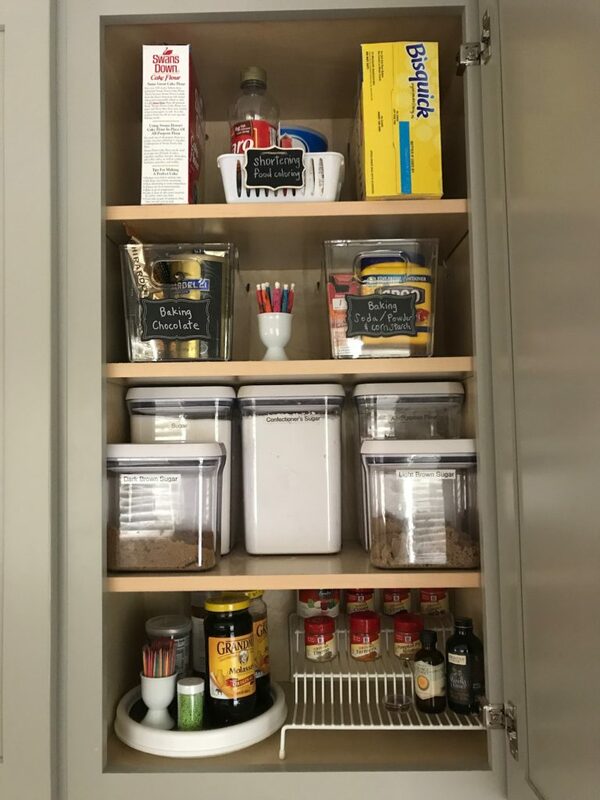 One day I would love to invest in rectangular glass food storage containers. For now we have a few round Pyrex ones that have held up well for several years. I also find it convenient to keep a stash of the inexpensive plastic ones from the grocery store, for sending home leftovers with friends/dyeing Easter eggs/etc. Sold a few at the yard sale. I think I own 5. 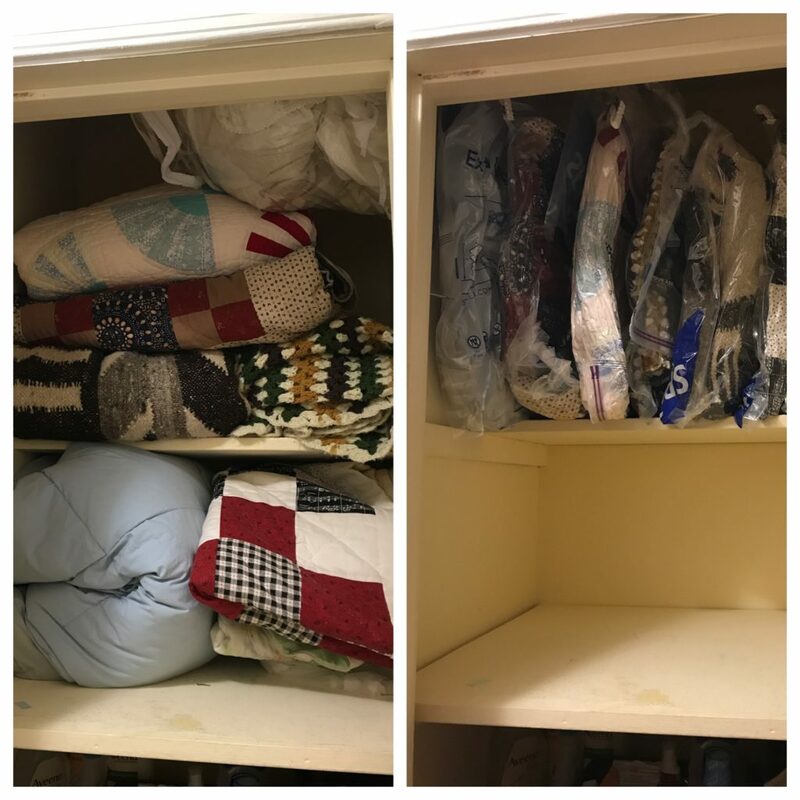 We don’t have a ton, but you can see what we do have in our linen closet. Gosh, isn’t this one an ongoing battle for all parents. I have gone through Bradley’s clothes and donated to a friend what couldn’t be reasonably repurposed for a girl. We’ll have to call this one a “work in progress” considering this is what baby girl’s room looks like. Yet another item tackled in the One Kitchen Cabinet at a Time series. Full post here. 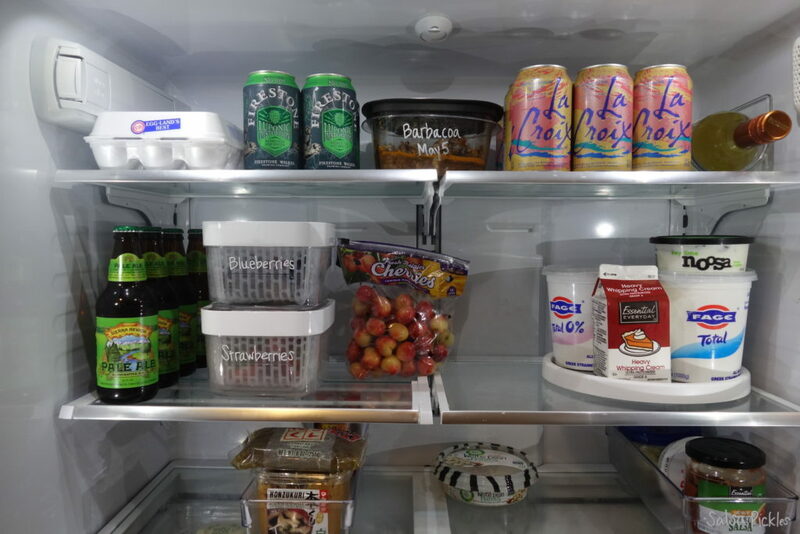 Organizing the fridge was one of the first projects I blogged about. It is an area I have to address regularly, though. What a great reminder to devote 20 minutes to unsubscribing from all of the junk we don’t need! 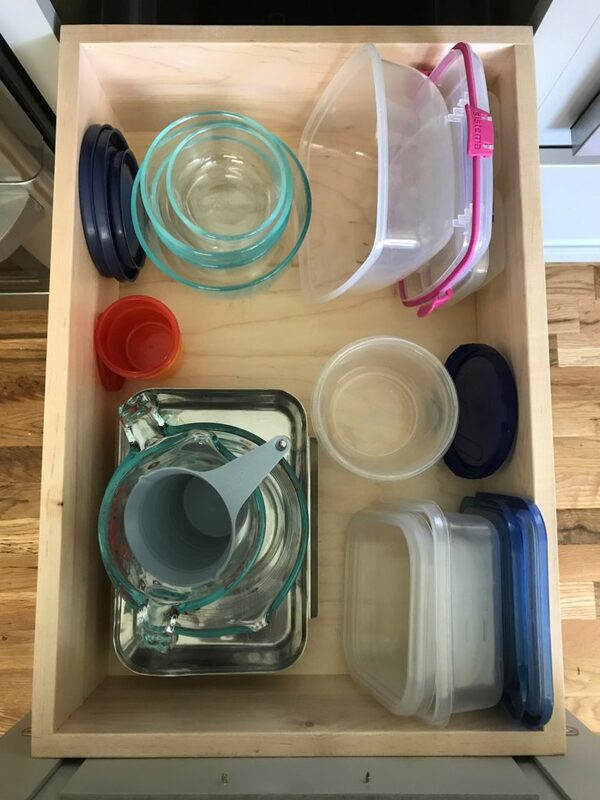 Covered that in this write-up about organizing drawers in the kitchen. We failed here. The various desks/work stations in our house are currently a wreck. Have to admit it. I’m not ready to do this major task for several more months. 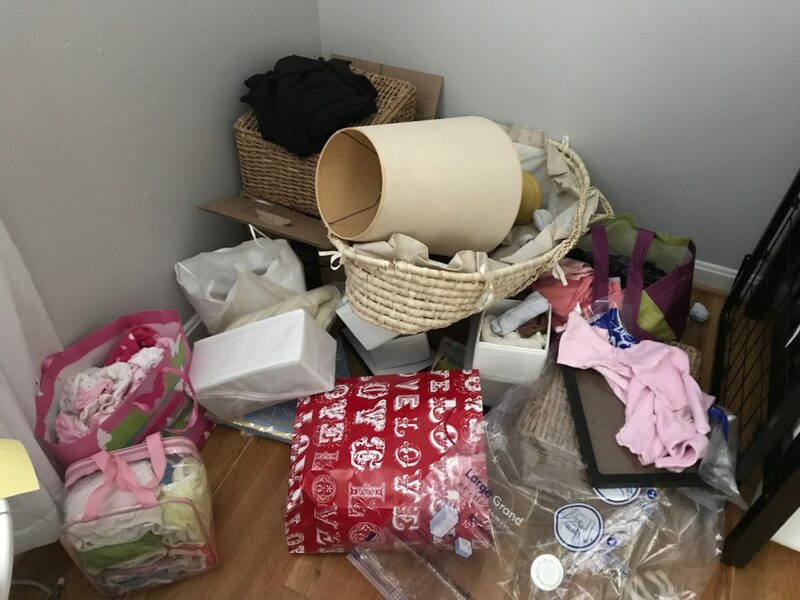 I am eager to get rid of the giant bin of maternity clothes I’ve accumulated, but since I literally cannot wear a thing in my closet right now I don’t even want to be reminded of the fact that I feel like a walking whale. We don’t have one so I guess we are off the hook! This was a fun recent project! I hope to have that post written up soon to share. Glad for the reminder here. Ours tend to look far from zen. 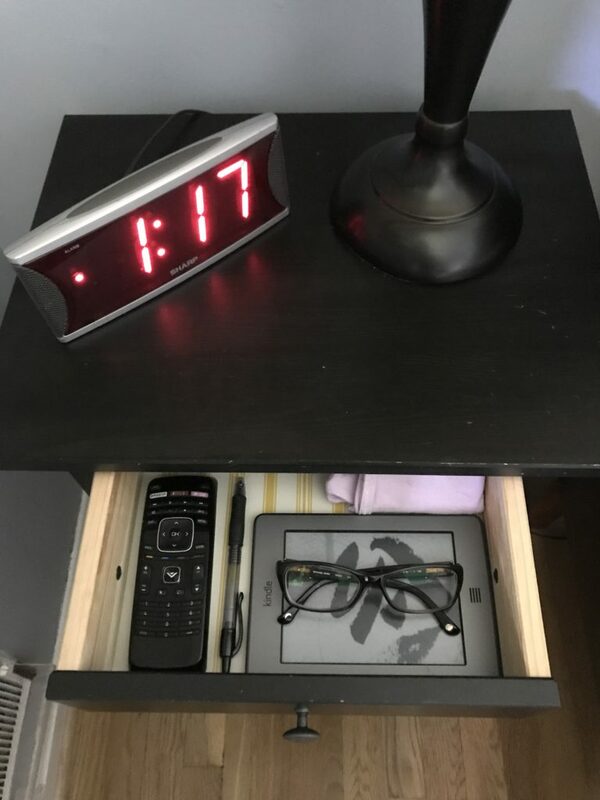 A little Pledge and 5 minutes of tidying can go a long way! 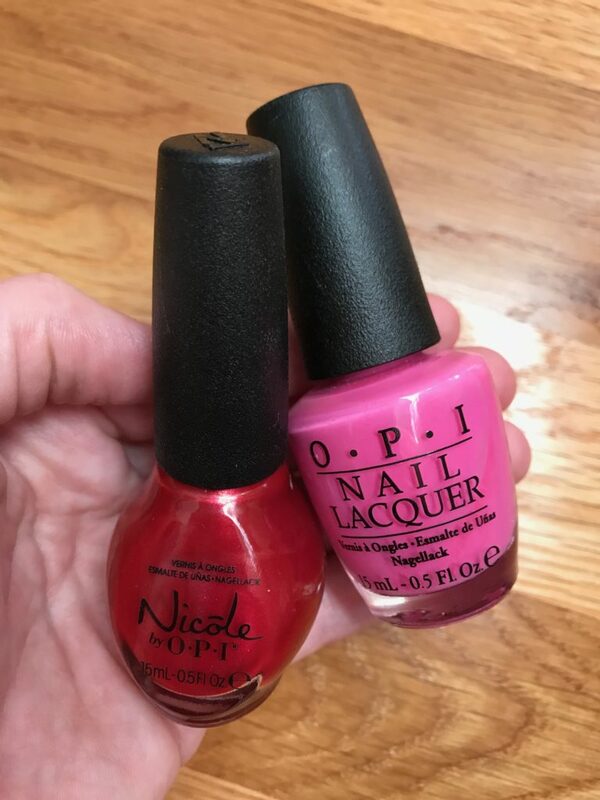 I own two nail polishes: one pink and one red. No need to purge. 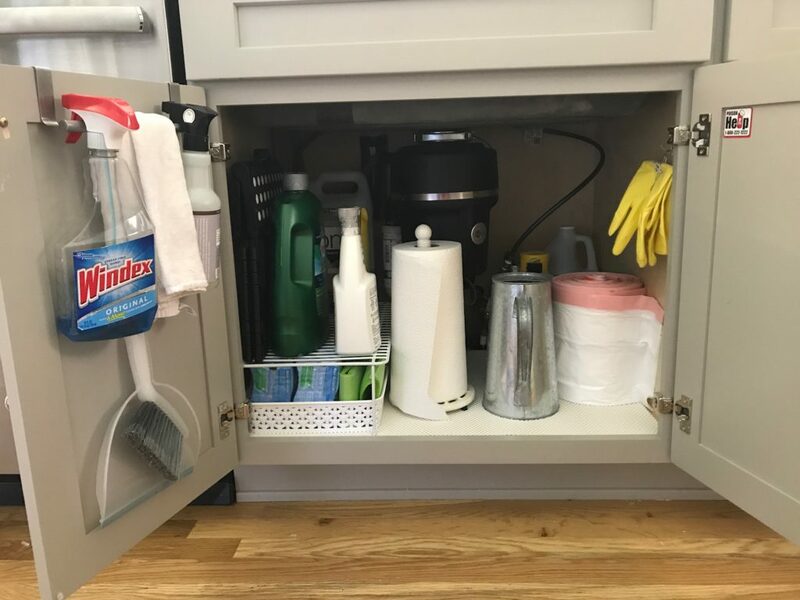 This project we tackled as part of the One Kitchen Cabinet at a Time Series. See it here. We don’t have a garage, but cleaning up a basement or attic apparently counts. I haven’t shared the little shed in our carport, which definitely needs some work, but I would like to save up some money to do proper shelves (hello, Elfa!). Overall, I would give myself a grade of “B” for this challenge. There were several categories I did not address at all, and the projects that I did conquer took 90+ days instead of 31!